The above archive and catalogs are worthy of study by anyone interested in classical music. It is interesting to note how these organs were modularized into units. It is also interesting to note that the various units were electrically coupled to each other via cables and relays. 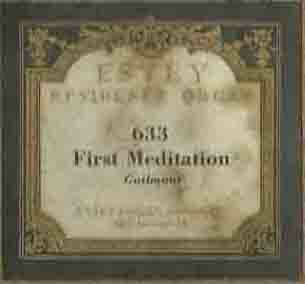 Estey player organ tracker bar details Essential information to fully understand the organ. How to Play Estey Music Rolls Producing purpose designed soundfonts. Picture Courtesy of the Muscatine Art Center. 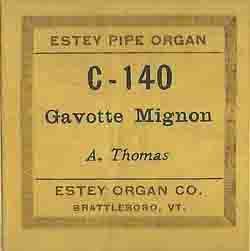 This Opus 1660 Estey Player Organ was built in 1919 by the Estey Company of Brattleboro, Vermont. 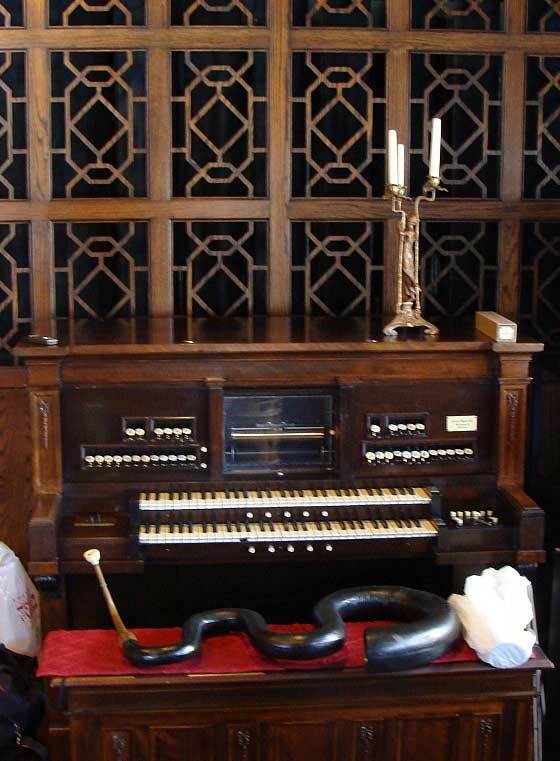 The case style of the organ is in fitting with an Edwardian home, and is plain without the very fancy woodwork of the Victorian era. 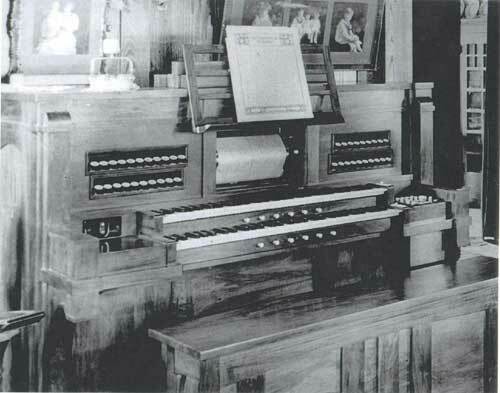 A room approximately 18 by 11 feet, screened by a wooden grill behind the organ, houses 731 pipes, 11 manual ranks and 2 pedal ranks, plus chimes and an unusual glass harp. There is also an unusual complement of intra-manual couplers and the tremolo affects the entire organ. Reference: Estey Shop Order 2525. This organ was intended for a large auditorium with a seating capacity about 4000. The organ contains an Estey player console but the organ's facilities far outweigh the capabilities of Estey's paper music rolls. Reference: Estey Shop Order 2727.